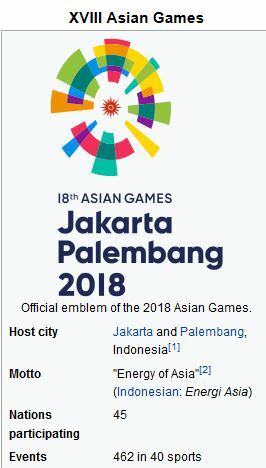 The 2018 Asian Games, officially known as the 18th Asian Games and also known as Jakarta Palembang 2018, is a pan-Asian multi-sport event scheduled to be held from 18 August to 2 September 2018 in the Indonesian cities of Jakarta and Palembang. The Asian Games, to be held on Sumatra island, will feature some 11,000 athletes competing in 40 sports – the second-biggest multi-sport event behind the Olympics. We will be following Cambodian athletes in their events as much as possible, so feel free to share any information you have, or tell us if there' s a particular sport that interests you. 335 seats will have to be replaced, after football fans rioted in a stadium prepared for the Asian Games next month. PALEMBANG, Indonesia (AFP) – Irate Indonesian football fans ripped plastic seats from the stands and hurled them onto the pitch at a stadium scheduled to host the Asian Games next month, an official said yesterday. A league match between Sriwijaya FC and Arema FC ended in chaos Saturday afternoon when the fans tore up seats at the Gelora Sriwijaya Stadium in Palembang on the island of Sumatra. Pictures showed multi-coloured chairs strewn across the outer edges of the ground, which is bordered by an athletics track. The stadium had been renovated for the Games, which are being held in Palembang and the capital Jakarta from August 18-September 2. Indonesia has been scrambling to prepare venues, finish building work, widen roads and ease traffic congestion. More problems before the opening of the Asian Games on 18 August. The Philippines national basketball team said Friday it has pulled out of the Asian Games as it prepares to appeal sanctions handed down over a nasty on-court brawl with Australia at a World Cup qualifier. Basketball's governing body FIBA suspended 10 players and two coaches from the Philippines national squad over the melee, which saw players and fans exchanging wild punches and flying kicks at the July 2 match in Manila. "We just don't have the time and chance to send an optimal team for the Asian Games. We will focus to build up on the next round of the world qualifying,", the president of the Philippine basketball federation (SBP) Al Panlilio said Friday in a statement to AFP. The SBP is still reeling from the July 2 incident which also left the Australian team fearing for their safety and prompted them to seek embassy help to fast-track their departure from the Philippines. Switzerland-based FIBA hit the SBP with a fine of 250,000 Swiss Francs ($250,000) and imposed another 10,000 Francs fine on head coach Vincent Reyes, who was accused of urging his players to fight. With the Jakarta-Palembang 18th Asian Games 2018 now a little over 10 days away, Cambodia’s Asian Games delegation met with Prime Minister HE at the Peace Palace here yesterday where they received his customary words of encouragement. 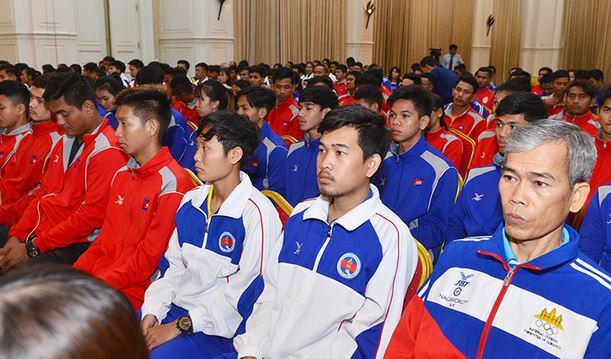 Cambodia will participate in 13 sporting disciplines chosen following a series of discussions between the NOCC and the Ministry of Education, Youth, and Sports earlier this year. “These 13 individual sports have a technical quality which Cambodia can compete in against other countries In Asia. They include taekwondo, gymnastics, swimming, athletics, and judo. 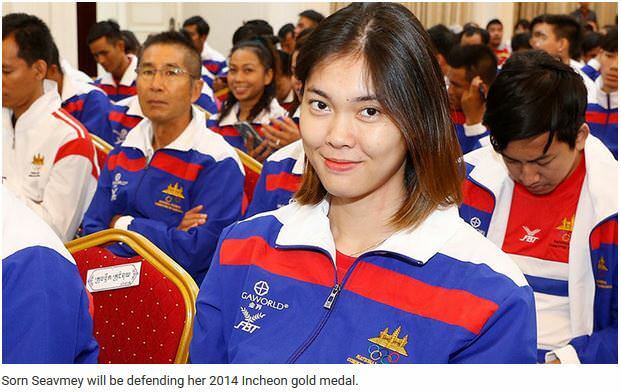 In these sports we expect to have a shot at earning medals,” said Mr. Chamroeun. At the last edition of the games in Incheon, South Korea, Taekwondo star Sorn Seavmey was the team’s sole medalist bringing the country’s 44-year wait for an Asian Games medal to an end and catapulting herself to superstar status. She overcame the odds to score a historic win defeating her Iranian adversary, Fatemeh Rouhani, in the final of the women’s under-73kg Taekwondo competition. Speaking at yesterday’s meeting, Seavmey said she was thankful to the PM for his continued support and reiterated she would do her best to bring back gold from Jakarta. 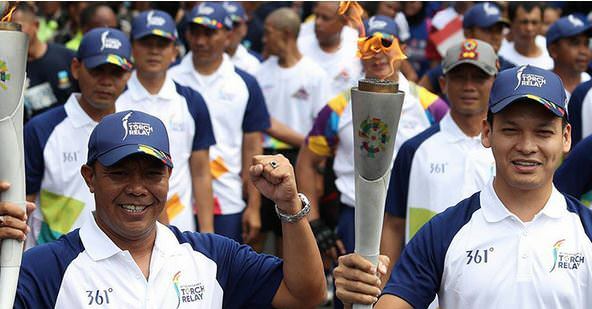 For the first time in its 67-year history, the Asian Games will be held in two cities: Indonesia’s capital of Jakarta and Palembang in South Sumatra province. 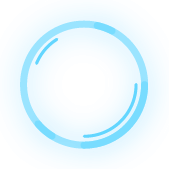 The opening ceremony gets the huge sporting event underway this Saturday. The 16-day competition runs to 2 September, featuring 484 events. This year’s games feature two new demonstration events: canoe polo and esports. Esports, also known as competitive video gaming, is rapidly gaining popularity and is expected to be included as a medal event at the next Asian Games in 2022. Asian Games - Is this eclectic mix of 40 events the Olympics+? Over the the next four days, the last of 12,000 athletes and officials will check into six tower blocks in the centre of Jakarta. The Asian Games athletes village will be a diverse community. Representing two-thirds of the world's population, the participants range from burly, hairy heavyweights specialising in Kurash (a form of Uzbek folk wrestling), to eSports athletes a fraction of their size. In between there will be jet-skiers, para-gliders, softball players, ten-pin bowlers and many more. In the Malaysia team alone, Lee Hung Fong, an 81-year-old Bridge player, is joined by Ian Nuriman Amri, a skateboarder 70 years her junior. The Games, which take place every four years, begin on Saturday - but who and what will they involve? While the Olympics hosts slightly more participants, the Asian Games overshadows it with complexity and variety. It comprises 40 sports, with the full Olympic programme joined by more regional interests and left-field choices. Sepak takraw - a kind of keepy-up volleyball featuring spectacular helicopter bicycle kicks and a small wooden ball. Paragliding - the sport is making its debut with events in the cross-country and aerobatics disciplines. Pencak silat - a traditional Indonesian martial art featuring the use of various stick-like weapons. Sport climbing, Skateboarding, Karate and Softball - all appear here before they make their debut in the Olympics at Tokyo 2020. Bridge - the card game is the fourth 'mind' sport to appear at the event after chess, go and xiangqi featured at previous editions. eSports - the sport has exhibition status before it becomes a full-medal event at the 2022 event in the Chinese city of Hangzhou. Players will compete in games such as League of Legends and Pro Evolution Soccer. JAKARTA: North and South Korea marched together in a stirring display of unity as the Asian Games, one of the world's biggest sports events, opened in a blaze of colour in Jakarta on Saturday (Aug 17). South Korean women's basketball player Lim Yung-hui and North Korean footballer Ju Kyong-chol jointly held the Korean Unification flag aloft as they led the athletes out to an ovation from the packed crowd. It is the second such symbolic gesture this year by the two Koreas, who also walked together at the Pyeongchang Winter Olympics opening ceremony - an event that heralded an unprecedented warming of ties. The North and South, still technically at war, are joining forces in women's basketball, canoeing and rowing during the 40-sport, two-week regional Olympics in the Indonesian capital and Palembang, a port city on Sumatra island. South Korean Prime Minister Lee Nak-yon and North Korean Deputy Prime Minister Ri Ryong-nam, watching from the VIP seats, rose together holding hands and beaming as the Korean athletes marched. Asian Beach Games on in Vietnam - did you know they're on ? Breaking: Jessa Khan Wins Asian Games Gold Medal for Cambodia ! The 2018 edition of the National Games is set to be held between May 25 and June 5.